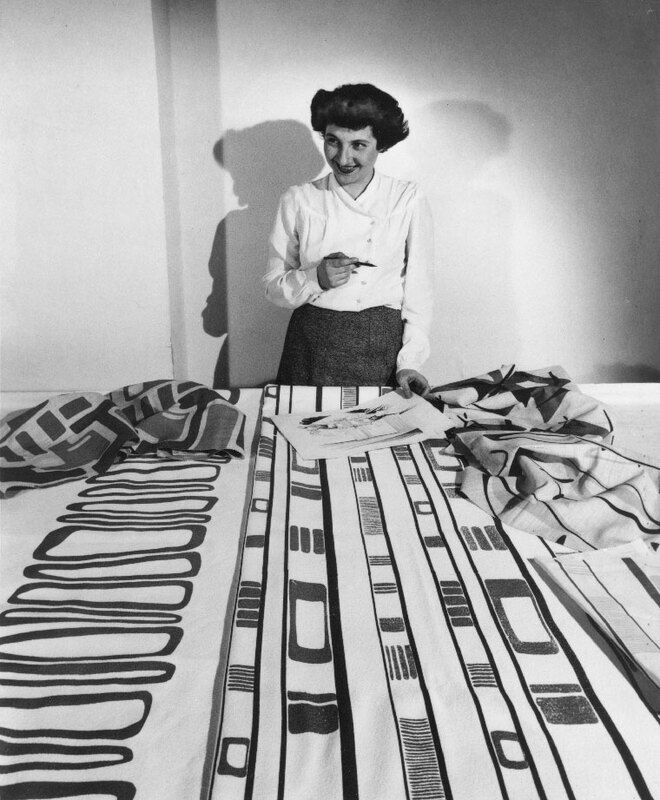 Ruth Adler Schnee c.1948, with her hand-printed fabric Slits and Slats, 1947 / 2000 reissue. Courtesy of Cranbrook Archives, Edward and Ruth Adler Schnee papers. The Radiant Sun explores the life and work of mid-century American designer Ruth Adler Schnee, who has been called a "Detroit treasure" and an "American legacy." Along with her family, Schnee fled Nazi Germany soon after Kristalnacht, and settled in Detroit. An internship with industrial designer Raymond Loewy and degrees from RISD and Cranbrook under Eliel Saarinen prepared her for a design career. With her husband Edward Schnee, she formed Adler-Schnee Associates, a design studio and store that helped bring modernism to Michigan. As a space planner, Adler-Schnee collaborated with noted architects including Yamasaki, Fuller, and Wright. 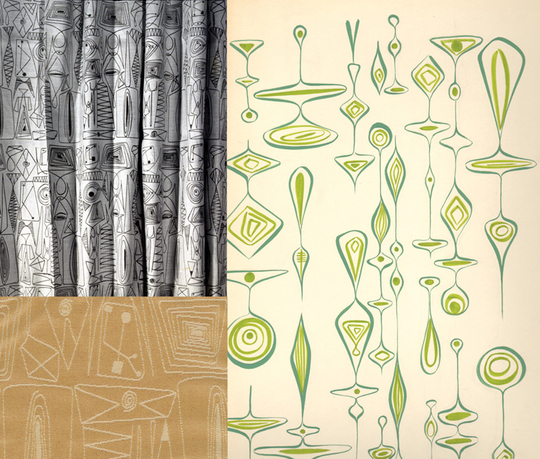 The pivotal exhibition Design 1935–1965: What Modern Was (1991), featured Adler-Schnee's textile designs. Now in her late 80s, she continues to work as a space planner and textile designer. The film The Radiant Sun adds Adler-Schnee's story to the growing scholarship on the American Modernist–era and expands knowledge about women designers' influence on the built environment. Ronit Eisenbach is a visual artist and architect whose creative and scholarly efforts are located at their intersection. Through her multi-disciplinary design and curatorial practice Eisenbach seeks to generate discourse about the built environment. Exhibitions include: the Detroit Institute of Arts, the Graham Foundation, the Cranbrook Art Museum, Princeton University, the Clarice Smith Performing Arts Center, and the streets of Tel Aviv. 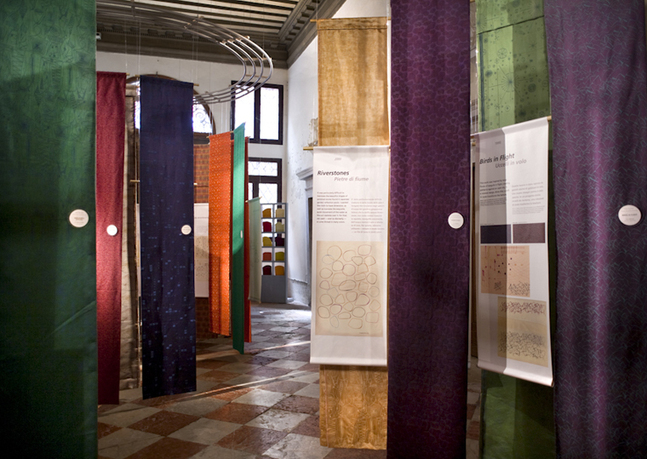 Eisenbach coauthored Installation by Architects: Experiments in Building and Design, coproduced The Radiant Sun, and curated Ruth Adler Schnee: A Passion for Color and Design for the Kibel Gallery, which she chairs. In 2011, together with Caterina Frisone, Eisenbach adapted this show for the Palazzo Mocenigo in Venice, Italy. Collaborations with choreographers, Dana Reitz, Bebe Miller, and Sharon Mansur, have resulted in works that explore relationships between gesture, inhabitation, and place. A graduate of Cranbrook and Rhode Island School of Design, Eisenbach is an associate professor at the University of Maryland, a Beverly Willis Architecture Fellow, and a MacDowell Fellow. Terri Sarris is an award-winning media artist and educator with interests in all forms of moving image media. She has been teaching classes in documentary, narrative film, dance on screen, and television production at the University of Michigan for almost two decades. Buzzards Steal Your Picnic, Sarris's forty-minute documentary profile of Detroit composer and inventor Frank Pahl, was awarded Best Michigan Film, at the Detroit International Documentary Festival in 2007, and at the Ann Arbor Film Festival in 2008. She is currently finishing The Radiant Sun, a documentary portrait of the Michigan modernist textile-designer Ruth Adler-Schnee. With her former student, Sultan Sharrief, she founded the EFEX Project (Encouraging the Filmmaking Experience), a community-film production and outreach program. The EFEX independent feature film Bilal's Stand (written and directed by Sharrief), was one of only eight films screened in the <NEXT> category at the 2010 Sundance Film Festival. Sarris has served on the board of the Ann Arbor Film Festival and as a judge at the Traverse City Film Festival. Hannah Smotrich is a graphic designer and associate professor at the School of Art and Design at the University of Michigan. In her practice, Smotrich works collaboratively with a range of non-profit clients on environmental graphics, print publications, and identity systems. In 1996, the United States Postal Service selected Smotrich to design the first commemorative Hannukah stamp, issued jointly with Israel. 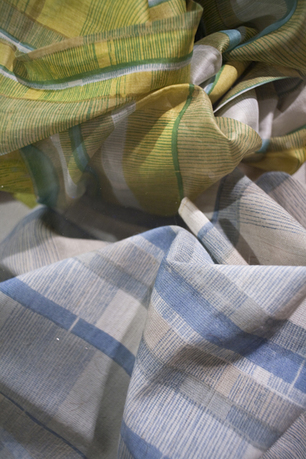 Recent work has centered on communities, identity, and cultural history, and includes a system of Neighborhood Heritage Trails in Washington, DC; Weaving a World, an exhibit for Museum L-A on the lives and community of textile workers in Lewiston, Maine; and Odpowiedz . . . Please Respond" a bilingual, participatory public-art installation at the 18th Jewish Cultural Festival held in Krakow, Poland. Smotrich holds a BA in history with honors from Harvard College and an MFA in graphic design from Yale School of Art.